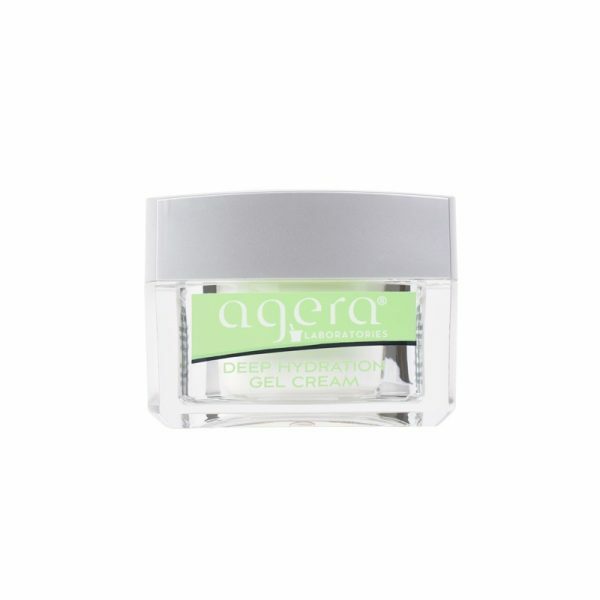 This Agera Deep Hydration Gel Cream is a luxurious silky gel cream that combines the skin perfecting power of a serum with the intense hydration of a moisturiser to improve the overall skin quality, restoring its natural smoothness and youthful bounce. The gel cream is formulated with a unique and proprietary combination of three types of Hyaluronic Acid, a naturally-occurring component of skin that diminshes with age, it is a powerful hydrator that provides multi-layer moisture to effectively restore and strengthen your skin’s natural hydrating ability and youthful qualities. Agera is derived from the ancient Greek word ageratos meaning “not to age”. Agera® is a comprehensive range of active skin care products and includes anti-ageing, anti-pigmentary and acne treatments that work together to produce visible results. Agera® has been produced after ten years of research by a team of chemists, biomedical scientists and physicians ensuring thorough testing and scientific validation. Agera® Medical Formula – the most advanced skin care range available in the world. After cleansing take a pea-size amount into palm of hand and gently massage on to face and neck. Can be used day and night.